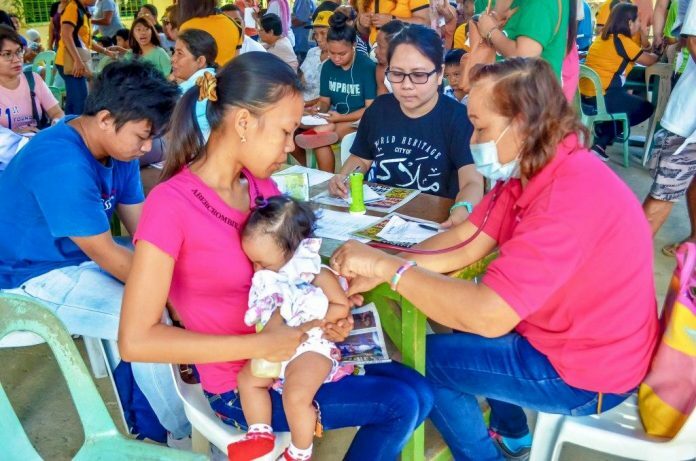 ILOILO City – Panay News reached out to over 500 residents of Barangay Jibao-an, Pavia, Iloilo in a free medical mission called “Fit for Life” yesterday morning. In cooperation with the Daniel Gumban Fajardo Foundation, Inc. this paper’s annual community outreach was held at Jibao-an Elementary School. Beneficiaries of all ages availed themselves of free medical checkup, tooth extraction, circumcision, eye checkup with free reading glasses, and haircut. Free medicines were also given out. “Thank you gid sa Panay News. 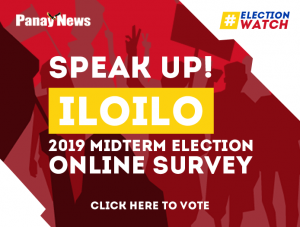 Napa-checkup ko akon masakit nga hawak,” said 78-year-old Felicidad Fenis, one of Barangay Jibao-an residents served. Appreciative of the free medical checkup, Fenis also commended Panay News for reaching out to far-flung areas. Poor and sickly senior citizens like her, she said, need not suffer the inconvenience of travelling long distances just to see a doctor. Fenis’ house was near Jibao-an Elementary School, the medical mission’s venue. Panay News conducts the annual “Fit for Life” as part of its anniversary celebration. “This is our way of giving back to the community. 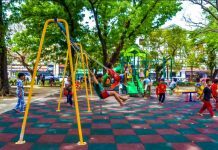 We are grateful for the public’s support all through the years,” said Panay News’ chief operating officer Dan Fajardo who led the community outreach. Next month, Panay News is marking its 38th anniversary. The free medical general checkup served a total of 302 beneficiaries; eye checkup, 118; dental services, 74; circumcision, 52; and haircut, 56. Thirty-three-year-old mother Carina Abellar was also profuse in her gratitude. She brought to the medical mission her three children for free medical checkup. The children were all suffering from fever and cough. “Nagapasalamat ako nga may amo sini. Naka-avail kami checkup kag libre nga bulong. Pigado man kami daan,” said Abellar. For his part, 65-year-old Rodolfo Pedregosa availed himself of free haircut aside from the medical checkup. Elderly people like him, he said, were appreciative of the concern shown to their health and overall well-being. Barangay officials of Jibao-an warmly welcomed to their village the Panay News team. “In behalf sang barangay council, nagapasalamat kami sa sini nga tumalagsahon nga medical mission. 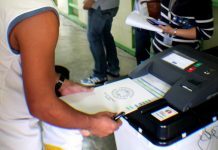 Sa kadamo-damo sang nag-asperar nga barangay, we are lucky nga kami ang napilian,” said Barangay Kagawad Joseph Gallinero. The Panay News community outreach, he said, was the first big medical mission to serve the village’s residents. According to Jibao-an Elementary School head teacher III Lucy Grace Bepinoso, the medical mission was the first of such kind to be held in their school. “We are very thankful sa Panay News,” said Bepinoso. 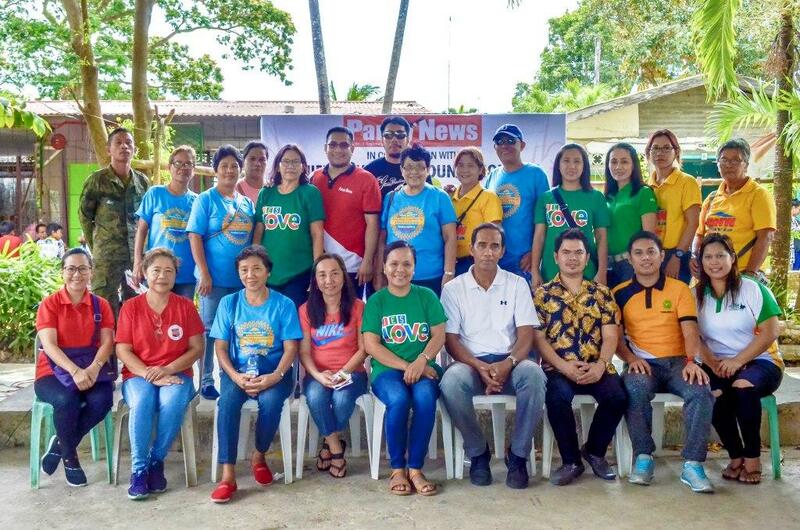 “Ang Panay News and Daniel G. Fajardo Foundation, Inc. halin kang una nagahiwat kang medical mission kag gift-giving kang school supplies kaangut man sang amun corporate social responsibility,” said Fajardo. * EverPure Premium Drinking Water, Inc.
* Coca-cola Beverage Phils. Inc.